Description: Delta Alphabet Stencil are perfect for to adding a personal touch to your Home Decor projects, gift and crafting items. Use stencils on any surface; paper, wood, ceramic, glass, tile, fabric, metal, plastic, wax and more! 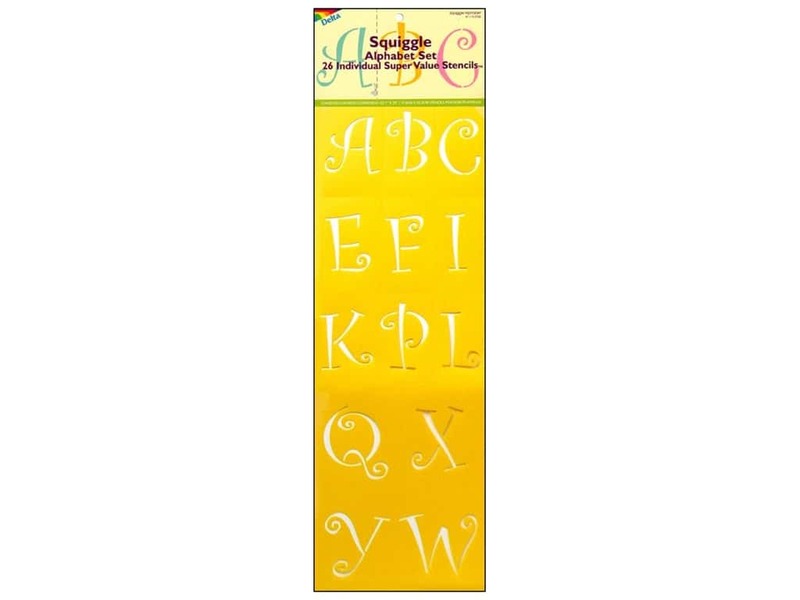 The Squiggle Alphabet Stencils includes an alphabet A through Z, each letter can be separated so you can make your own words as you desire. These are upper case letters measure approximately 2 1/2 inch tall.